"The death of Trayvon Martin was a tragedy. Not just for his family, or for any one community, but for America. I know this case has elicited strong passions. And in the wake of the verdict, I know those passions may be running even higher. But we are a nation of laws, and a jury has spoken. "I now ask every American to respect the call for calm reflection from two parents who lost their young son. And as we do, we should ask ourselves if we’re doing all we can to widen the circle of compassion and understanding in our own communities. We should ask ourselves if we’re doing all we can to stem the tide of gun violence that claims too many lives across this country on a daily basis. We should ask ourselves, as individuals and as a society, how we can prevent future tragedies like this. As citizens, that’s a job for all of us. That’s the way to honor Trayvon Martin." Words cannot express the way I felt last night when I learned that the jury in the trial of George Zimmerman delivered a Not Guilty verdict. As a legal professional, and one that has worked in the criminal justice system, I found myself going through the different aspects of the trial to ascertain what went wrong for the prosecution. Did they overcharge the defendant? Did they select the best jury? Did they do an adequate job proving the elements of the charges beyond a reasonable doubt? What would I have done differently? At the end of the day, the family of Trayvon Martin put their faith in the system, and the system has spoken. Does this make me feel better about the verdict? Nope. Does this make me feel better about the fact that an unarmed, young black man had his life taken from him? Absolutely not. We as a society tend to get riled up whenever we feel an injustice has occurred. As the verdict came in last night, my Twitter timeline erupted with thoughts and sentiments of disgust, confusion, and anger with "the system." While I appreciate the fact that so many individuals have been paying attention to what has happened in Florida and genuinely feel Zimmerman's actions were inappropriate, I wonder how long this activism will last. Will we be motivated to act for the next few days or weeks only, or will we look to ways to prevent a tragedy like this from happening again? So, in the same spirit of President Obama's statement, I encourage those of you who are angry with this verdict to get involved...not just today when the anger is fresh in your mind, but in a week, a month, or a year after the sensationalism of these events have decreased. I encourage you to vote in both your local and national elections. Be an active participant in electing those officials that make the laws for your city, state, and country, and hold them accountable for their actions. I encourage you to take steps to improve race relations in your community and/or workplace? Steps that will foster understanding, tolerance, and acceptance. Steps that are geared towards ensuring that this will not happen again. Being angry in the moment is not enough. 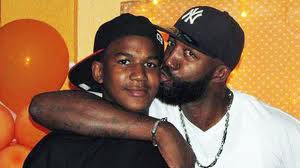 As always, my thoughts and prayers are with the family of Trayvon Martin. His death is a tragedy...my hope is that his death will not be in vain. 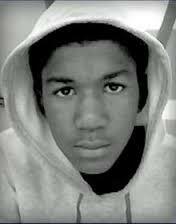 For more information on the Trayvon Martin Foundation, please click here. Very well written! I couldn't have said this better myself. I am gonna put all this energy in doing something to make a change. Thanks for sharing. Thank you! I hope that we all channel this anger into something good!